Here’s how they describe it: “The epic introduction to Kaya and her brother Jak as she begins her journey into discovering the magic and mystery of their precious world, Silmay. In Boe, Kaya goes through the Trial of the Elder’s door and meets a special trusted ally. In Broodva, Valta discovers something new and troubling.” The front cover tells you a bit more perhaps. 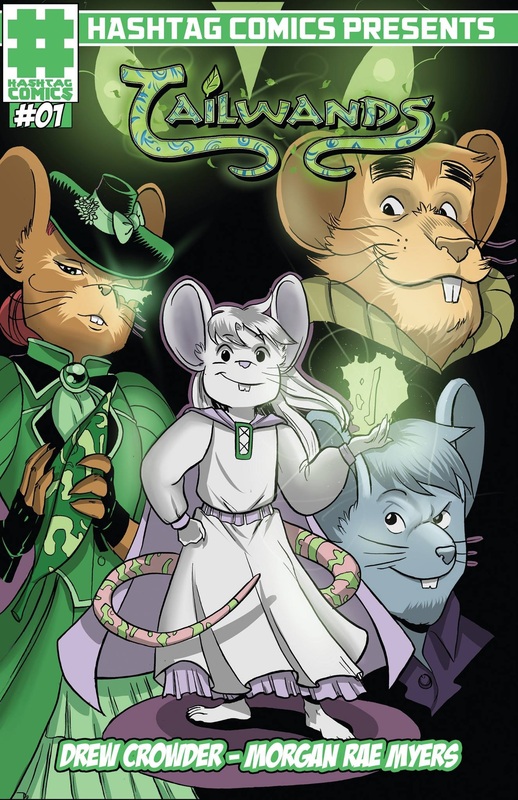 Tailwands has been an on-line full-color comic at Comixology for a while now. It’s written by Drew Crowder with illustrations by Morgan Rae Myers. Now Hashtag Comics have released the first set of Tailwands adventures as a graphic novel in paperback. Take a look over at Previews.